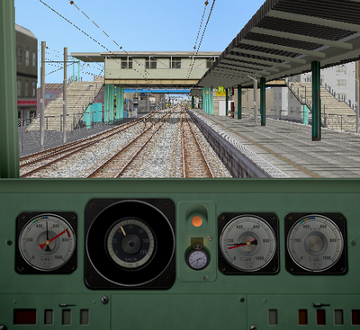 JR East class 113 EMU. Different versions of class 113 have been manufactured from 1963 until 1979. First class 113-1000 was made in 1972. Photorealistic driver's stand with speedometer, 2 manometers (pressure gauges), clock and pilot lamp.